When we discuss design, we often use terms that people ascribe vague or conflicting meanings to. One particular favourite stands out: simplicity. simplicity (noun): the quality or condition of being easy to understand or do. That is, a simple object is one that is easy for humans to use or understand. That means simplicity is relative to people and their experiences, their culture, their context, their education, and their mental models. Building something simple is hard. It is hard because you can only get an approximate understanding of your users. It is hard because your users have different experiences, cultures, contexts, educations, and mental models. It is hard because the space of possible solutions is large and expensive to explore. It is hard because you need to make trade offs between versatility, usage cost, learning cost, size, resilience, and aesthetics. It is hard, but it is not impossible. 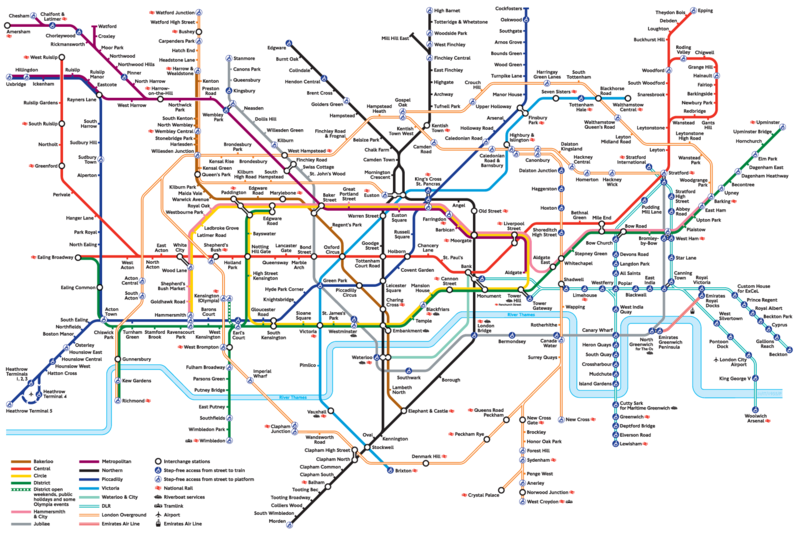 The map makes few assumptions: that users can handle a modicum of abstraction (mapping of symbols and locations to the real world in a non-linear manner), that the context (subway lines and stations) is understood, and that users are intelligent enough to draw simple conclusions about the meaning of colours and symbols. Because simplicity is relative to people’s mental models, it is altered by learning. Thus, if users are willing to spend some effort learning new things, designers can consider a much larger space of possible solutions. Some of these additional solutions are likely to be considerably more powerful than ones which require minimal learning. Whether or not target users are willing to invest time and effort in learning depends on the context and the potential long-term value of the design amongst other things. For example, it requires a notable up-front investment of time and effort to learn how to ride a bike, but once someone has learnt to rid a bike, bikes are both easy to use and remarkably valuable. Not everything can be made simple and few valuable things can be made simple without spending time and effort on learning. If you are not willing to learn, you limit yourself to trivial tools and theories or, worse, simplistic ones. Unfortunately, it is hard to judge how valuable a tool or theory really is before you have spent the time and effort to learn it. But when you find a good one, it can serve you well for a lifetime.